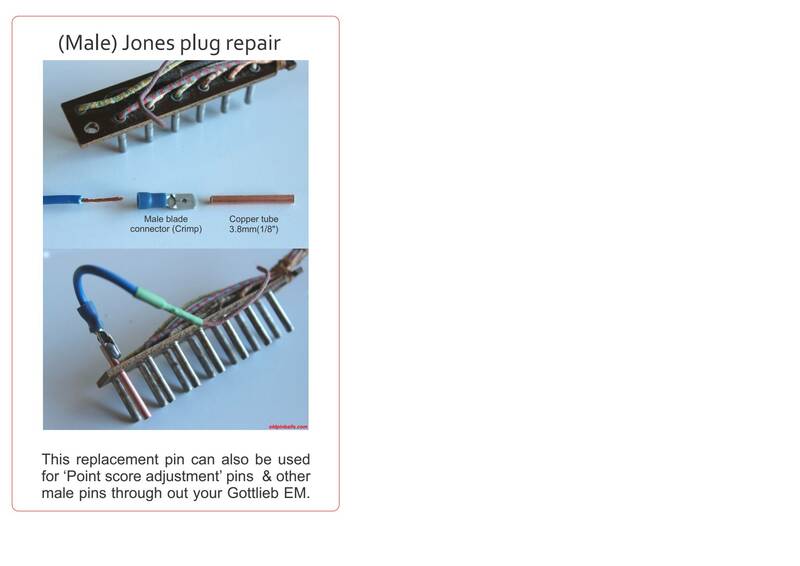 » Forum » Electro-Mechanical » EM Pinball Tech » Broken male pin in Jones plug: repair? » Broken male pin in Jones plug: repair? Broken male pin in Jones plug: repair? Just picked up a P&B with a broken male pin in a Jones plug. What's the best method of repair? Another Jones plug has a spare unused male pin on it. Might want to give this method a try. I would replace the jones plug. These come up on ebay frequently - pinjunk on ebay is a great source. I appreciate all the suggestions, but this a 16-pin plug and the other 15 are fine. Can I just press out the old stub, press in a new pin and solder?